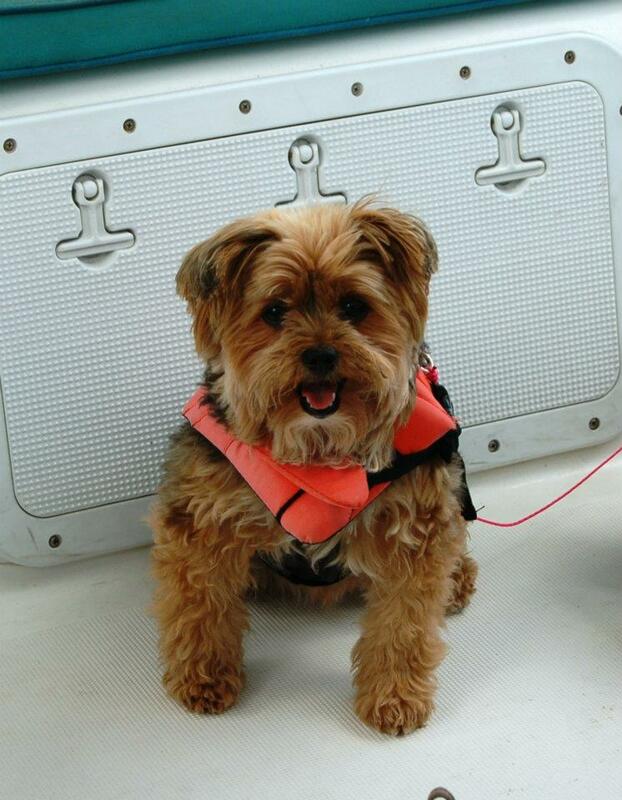 We recently had an inquiry for a last-minute, family yacht charter. 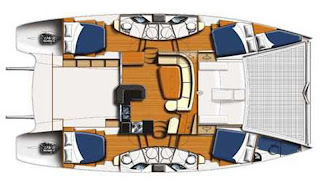 We were very happy that the charter yacht PROMENADE, a 65-foot trimaran, was available as they fit the bill perfectly. Our vacation aboard the Promenade was a dream come true. Or, as Brian our eldest son put it, "Best vacation ever, mom!" We had chartered a sailboat in the BVI once before when our boys were 10 and 12, almost 20 years ago, and when it happened that this summer we would be able to vacation in August together, the boys wanted to repeat the trip, although both are now scuba certified. We opted for the Promenade because of its size, it being a scuba boat, picking us up in St.Thomas, and the reasonable rates. What we didn't count on were Captain Chad and his crew who felt more like extended family than hired hands! There wasn't a thing they didn't think of. All of our needs were met. The food was wonderful. We had Lauren's birthday cake in the shape of the boat! 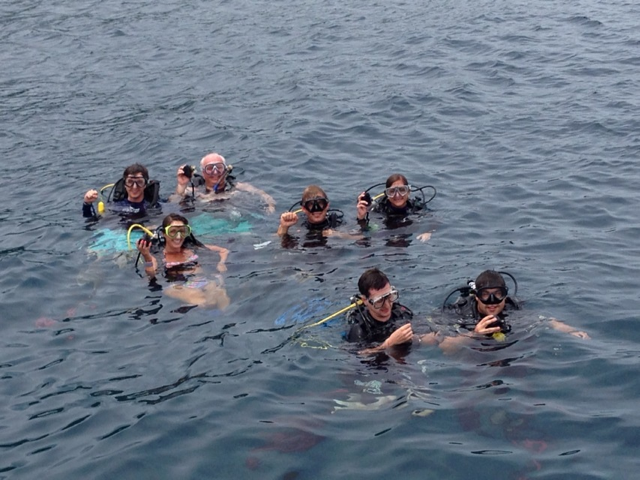 The diving and snorkeling (just me) was beyond belief. Because I was the only one who didn't dive, Yanna, one of the crew snorkeled with me every day, pointing out various fish and coral. 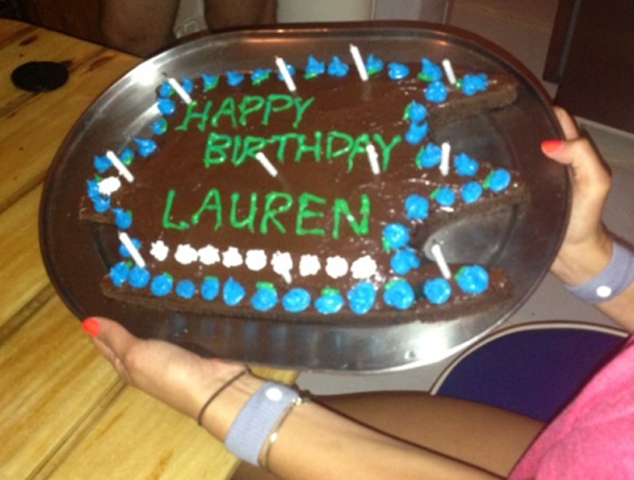 We had sailing lessons, and included the crew in our nightly games. We would highly recommend the Promenade and Captain Chad and would likely use them and Paradise Connections again. Promenade is a custom 65-foot trimaran with a crew of three. Promenade is fully air conditioned and has five guest cabins: 2 kings and 3 queens. The king cabins may also be made up as singles, if requested, making a total of 7 beds. 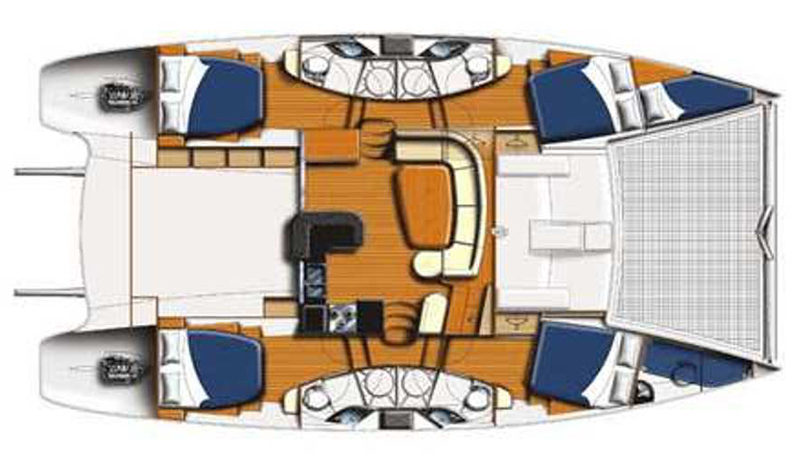 The two forward queen cabins have ensuite heads, while the aft queen and king/twin cabins share two heads. Promenade has a 15-foot dinghy with 50HP motor, waterskis for adults and kids, kneeboard, wakeboard, tube (4-person Predator also referred to as the "couch of doom"! ), two 2-person kayaks, 6-person "power lounger", snorkeling gear, fishing equipment, 32" flatscreen TV/DVD, iPod with 5000 songs, air compressor to fill scuba tanks. Lots of toys. Beach games and exercise equipment, too. WiFi where available, bring your laptop. 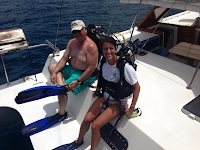 Promenade has a dive instructor so ask us about resort courses or other diving instruction. Promenade offers casual diving for certified divers: $20/diver/dive with gear rental, if needed, for $125/wk/diver for BC & Regs. Promenade is one of the very few crewed charter yachts in the BVI that carries a commercial fishing license for the yacht. They carry ballyhoo and lures for trolling, a casting net for live bait, frozen squid for bottom fishing, 2 trolling rods, 3 bottom fishing/spinning rods, gaff hook, landing net, various lures, bottom tackle and hand lines as well as 4 rod holders on the aft deck. 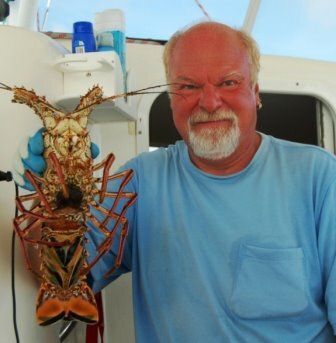 20% discount on new bookings for all-inclusive charters taking place between now and December 7, 2013. 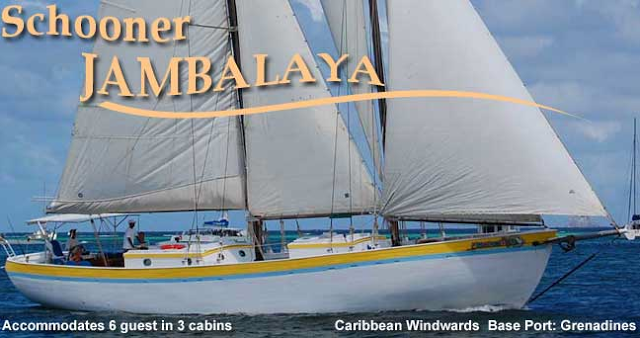 This offer is available for charters of less than 7 nights, too. 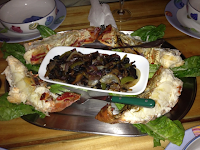 Promenade requests one dinner ashore at guests' expense. Example: a 10-person, all-inclusive yacht charter for only $15,120 !!! Cabin cruise weeks available, too... Inquire! We have the opportunity to book one of the few remaining catamarans available for a New Year's yacht charter as their entrance into the Caribbean crewed charter has not yet been announced. 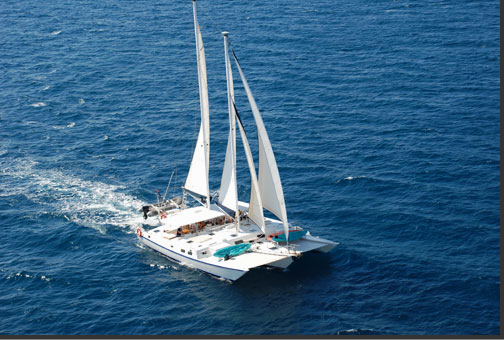 This yacht, a 46-foot Leopard catamaran with a crew of two, is available for a New Year's charter beginning Sunday, December 29, 2013. We have already booked Christmas for them. Unfortunately we do not have any photos because they are busy with a total refit. 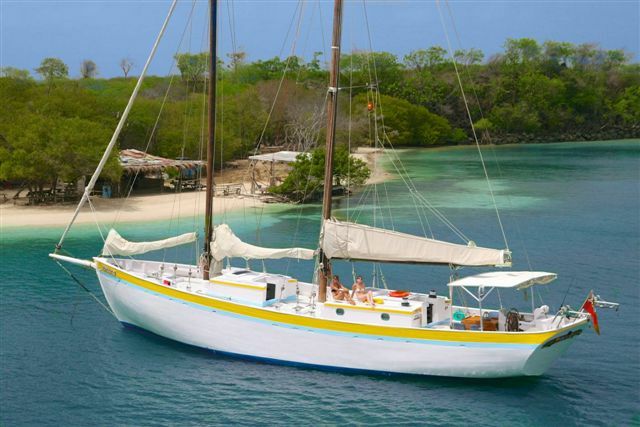 We have known the crew for several years (they have their own personal catamaran in the Caribbean) and we are confident that they will be an excellent addition to our fleet. This 46-foot Leopard is fully air conditioned and accommodates up to 6 guests in 3 cabins, each with Queen-sized berth and ensuite bathroom (electric head & separate shower stall). The galley is in the salon area which allows interaction with the chef and more room for cabins in the hulls. The roomy cockpit has "walk-through" access to the aft bathing platform and into the water. You may have noticed that we have not mentioned the catamaran's name. This is because we do not want to spoil your chance to charter this yacht for New Years. To inquire, send us an email and we'll be happy to give you more details. 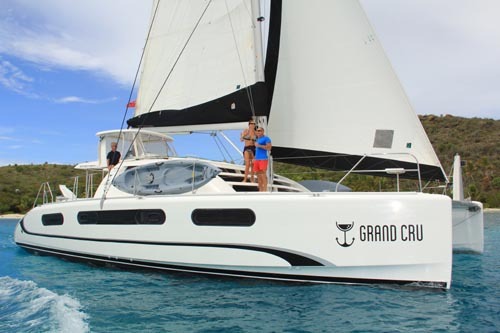 Paradise Connections is pleased to welcome the charter yacht GRAND CRU, a 46-foot Leopard catamaran with two crew, to the Caribbean crewed yacht charter fleet. The 2007 Leopard 4600 is a radically different design than the older Leopard 47's. This newer design has large hulls offering an amazing amount of space and has dry shower stalls, electric heads and beautiful woodwork throughout. The charter yacht TWO MUCH FUN, a 40-foot Manta catamaran, is the perfect choice for two people wishing to charter a catamaran in the Virgin Islands. This catamaran is a great choice for honeymoons or romantic getaways. Two Much Fun is fully air conditioned and the entire starboard hull is one large master cabin with plenty of light and hatches. There is a queen berth aft and a large head forward with stall shower and electric head. Two Much Fun has a 10-foot dinghy with 10HP motor, 2-person Hobie Mirage kayak that you can paddle, pedal or sail, snorkel equipment, fishing gear, TV/DVD in salon, beach games, musical instruments, etc. "We had a fabulous time on Two Much Fun! The trip exceeded my expectations! 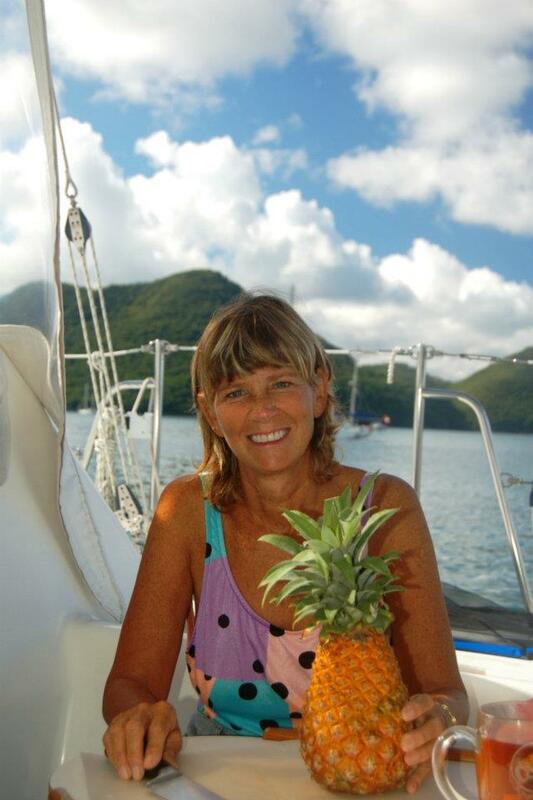 We loved traveling in our hotel… Our host and hostess were more than gracious… Best food, music, views in the BVI were fantastic!" RATES: Two Much Fun is very reasonably priced at only $6450/week for a 2-person, 7-night/ 8-day, all-inclusive yacht charter in the Virgin Islands... What's not to love? The charter yacht IMAGINATION, a 46-foot Fontaine-Pajot catamaran, is based year round in St Vincent and the Grenadines. Shawn and Ally know all the secret spots for perfect snorkeling, diving, fishing and sightseeing. SPECIAL OFFER: 5% discount on new bookings made by December 14, 2013. Charter may take place in 2013 or 2014 but excludes Christmas and New Years. DIVING, TOO: Shawn is a dive instructor and diving is offered to certified divers at $60/dive/diver, includes gear. The charter yacht JAMBALAYA, a 73-foot wooden schooner, wrote to announce that they will begin their 2013-14 charter season in the Grenadines on November 11, 2013. They also sent us a new sample menu. 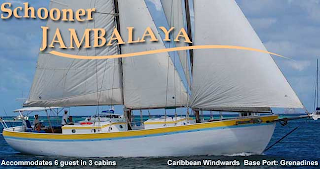 CLICK HERE to read a previous post about Jambalaya and chartering in the Grenadines. 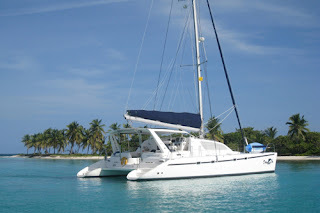 The catamaran DREAMING ON, a 47-foot Leopard catamaran, is extending their summer calendar through September 15, 2013 as they have postponed their vacation. Dreaming On is offering 8 nights for the price of 7 for the Thanksgiving holiday.